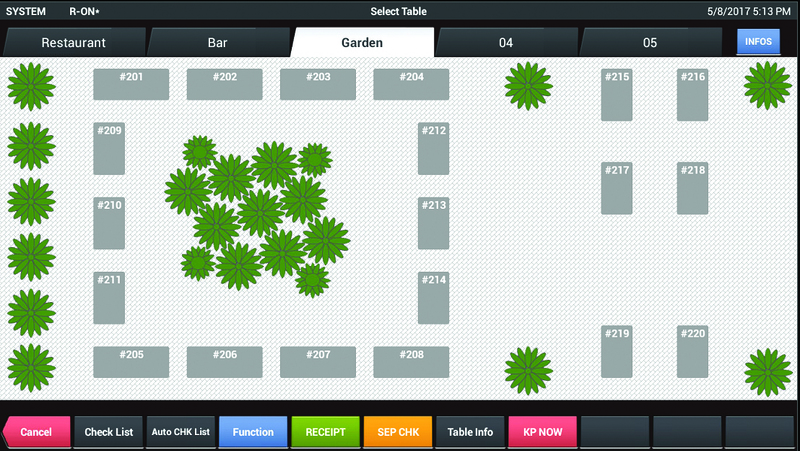 Powerful POS application and Cloud reporting solution exclusively designed for hospitality business. 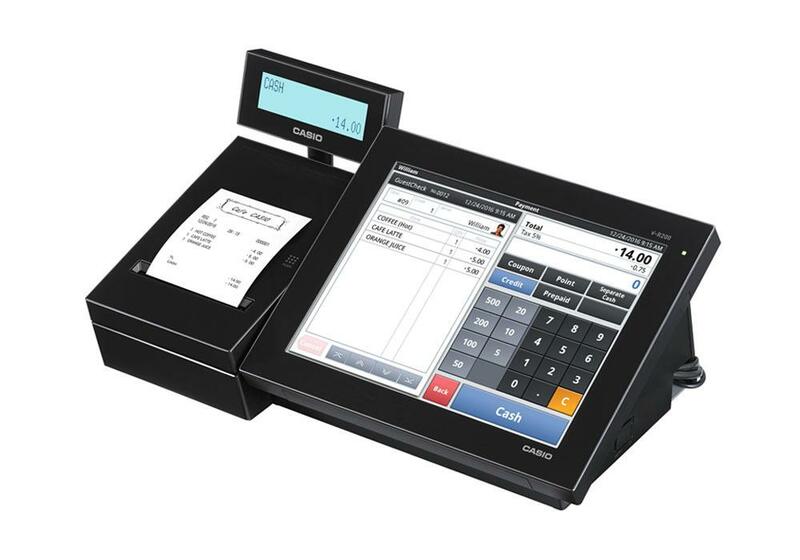 Casio’s optional Cloud service on the V-R7000 and V-R200 provides retailers with quick, easy and up to date information on their business sales activities. Access to the Cloud sales activity is available through PC’s, mobile devices or even through the V-R’s browser. 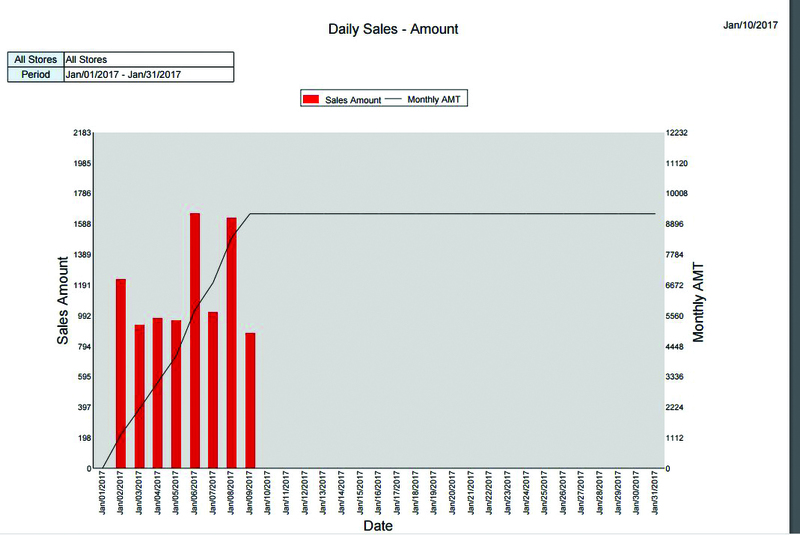 Sales activity can be viewed using the Casio VRCPos dashboard, spread sheet format, graphs, saved as PDF’s or in CSV format. Built-in protective measures on the V-R terminals include during internet interruptions in the business, sale totals will be stored until the internet is restored. The V-R terminals will sense the internet re-connection and will automatically upload the sales information to VRCPos. Another element of Casio’s CPOS is programming. 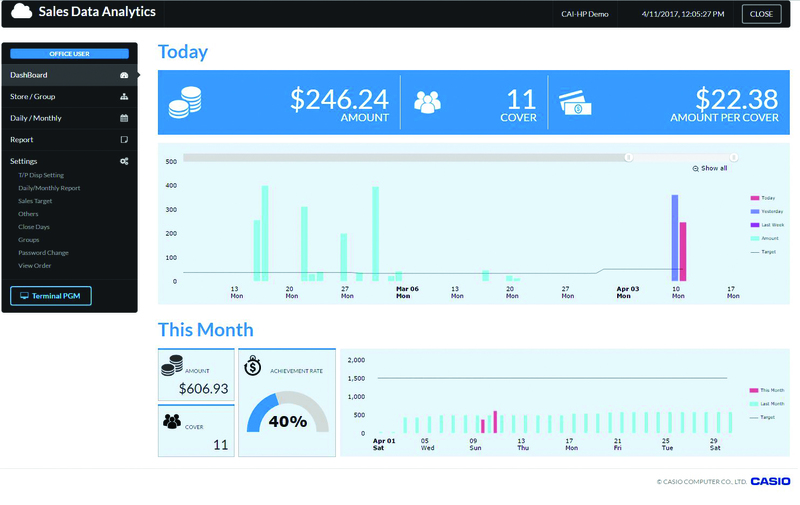 CPOS allows customers the ability to make changes to their V-R terminal program through the cloud. Items, departments, operator, tax, employee (time & attendance), receipt message, menu screens to name a few areas that can be changed on CPOS. Changes are down loaded upon the next days’ business opening automatically. In addition to the ability to make program changes CPOS will store a complete backup program of the V-R terminal if the need arises due to hardware replacement/failure or program loss at the store level. Customers with multiple locations and in different regions have the options of maintaining different programs for various stores and regions through VRCPos. The feature called Program Masters on VRCPos, a customer can control parts or the entire program going to various stores. Example, a customer with stores in different states can control the various tax rates for each state in a program through the Program Master feature. The V-R terminals interface to middleware companies PAX and Datacap to provide links to the various processors. EMV, credit, debit, EBT and gift cards transactions are all available. Electronic payment functionality includes adding tips after payment, gift card issue, add & inquiry, split payment with multiple electronic payment, refunds, voids. Control is a major part of a business success. 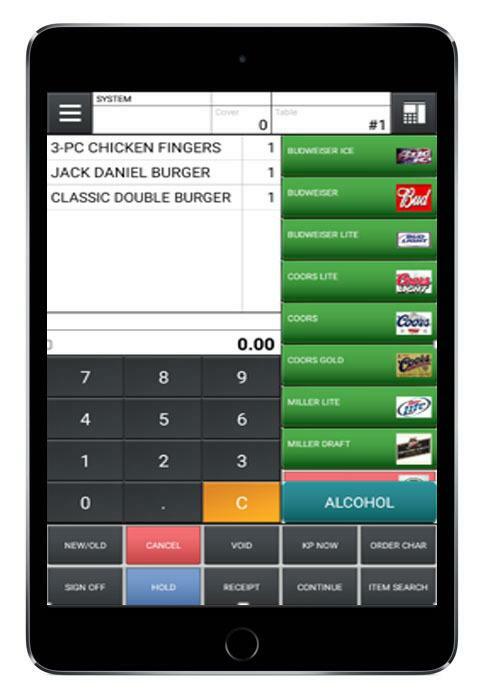 The V-R QSR application provides business owners with most of that control but not all! This where the interface to Remote Eyes video surveillance completes that control. Remote Eyes with accurately positioned cameras captures item data as it is entered on the V-R and super imposes the transaction detail over the video of the operation taking place. 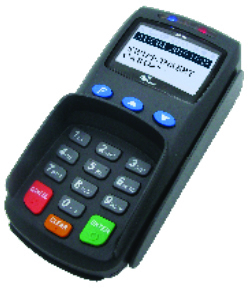 Remote Eyes provides the level of security the POS cannot against employee and customer theft. Kitchen operations dealing with high volume, heat or wanting to get away from paper for orders have the option of using kitchen videos to display customer orders. The kitchen video systems interfaced to the Casio offer a variety of features that include order timer on the length of time an order has been open and a warning indicator, displaying multiple order on the video, the ability to recall finished orders, bump bars, detailed reporting, multiple screen routing and order designation screen areas. Digital menu boards offer businesses a clean and professional way to display their products and services. 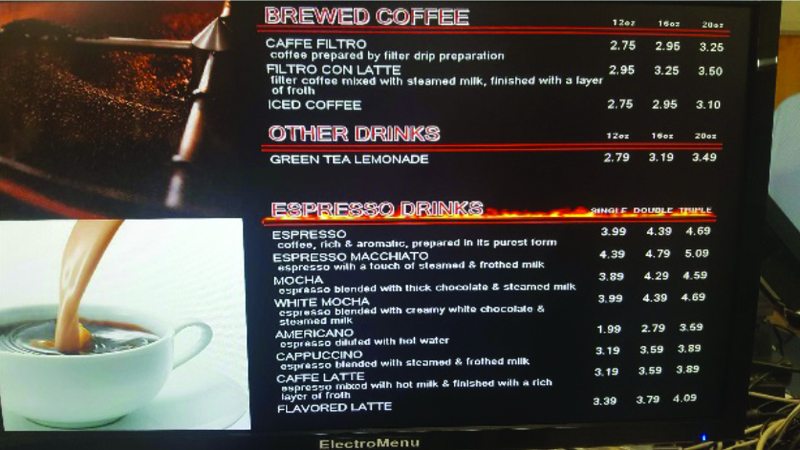 Many systems utilizing digital menus when it comes to making price changes it is a two 2-step process; the change is made on the POS and then made on the digital menu. The V-R terminals provide a 1-step process, price change is made on the V-R terminal and then uploaded to the digital menu. 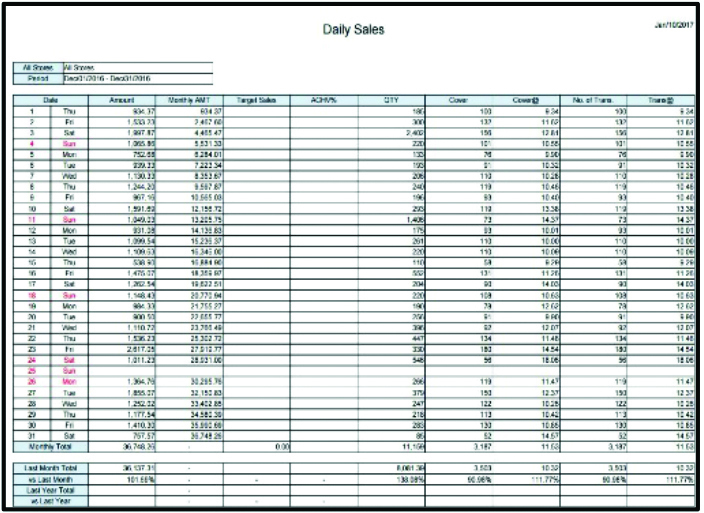 Casio’s HDRS reporting software collects sales data pushed to a FTP site from the V-R terminals. Data can be collected from single terminals, single locations with multiple terminals or multiple locations for the various reports provided by the V-R terminals. 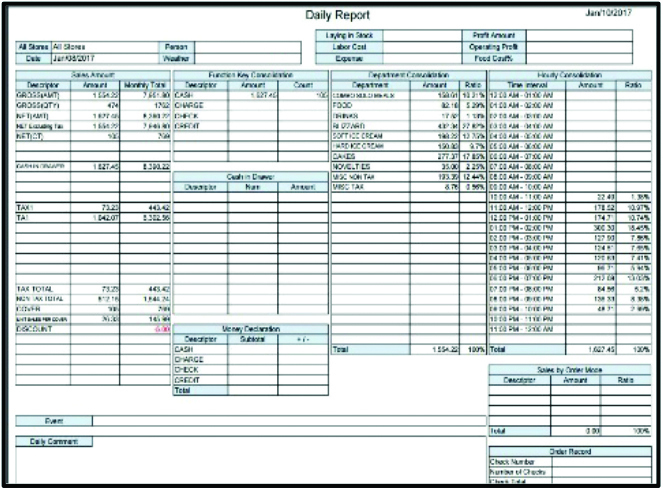 Reports by terminal, by store or by group of stores in spreadsheet, graph or pie chart format. 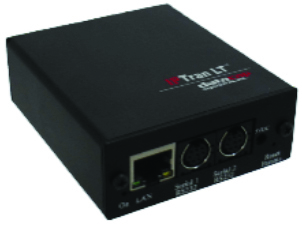 This is another cloud solution option available on the V-R terminals. The QSRonline offers Inventory control, interfaces to a large selection of payroll and accounting packages, enterprise reporting, labor management and scheduling. QSRonline also offers software for mobile devices for inventory input at store level, employee scheduling and viewing reports. 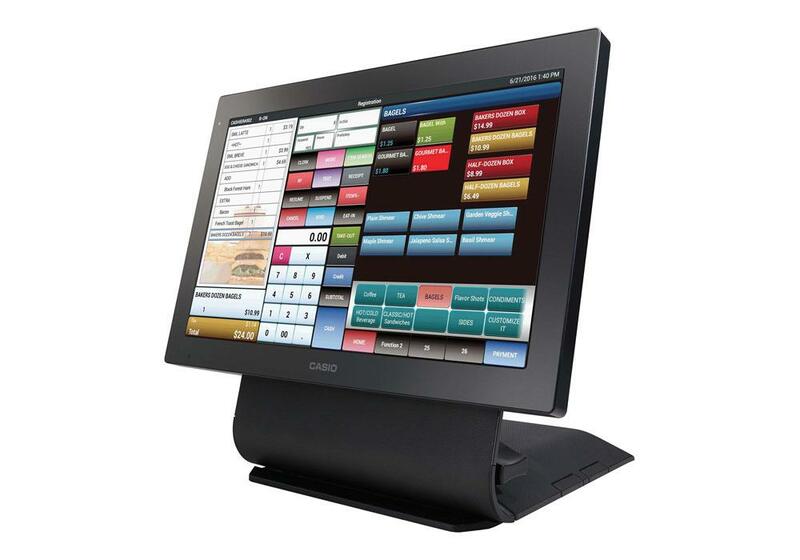 ​Interested in learning how Casio VRCPos can benefit your business?